I have a penchant for trigger finger. It’s a common complication for Type 1s and it hurts like hell if you use your fingers for, well, anything. The sheath that holds the tendons of the finger can get “gummed up” and stop the pulley like movement that allows your finger to move. It’ll catch. It’ll lock up. It will hurt. And I had it in both index fingers. This wasn’t my first time at the rodeo. I knew that my only option when the pain got to be too much was surgery. (For people who don’t have diabetes, steroid injections often help. Every orthopedic specialist I’ve even seen has said… “Nope. Surgery.” You can argue, but after doing the research, I was right there with them.) I made a phone call to speak to a surgeon when I could no longer change The Kid’s diaper and hold her for very long without searing pain. Perhaps my first mistake was wanting to get them both done in one fell swoop. (I had my thumbs done separately. Apparently I like my trigger digits in pairs.) The surgeon (who is Dr. Gupta’s personal orthopedic surgeon, if I can name drop) was efficient and the surgery itself was uneventful. My right hand was super. Very little pain after surgery. Healed nicely. My left hand was not. (Yes, my right hand didn’t know what my left hand was doing. Ha-ha.) It wasn’t healing well and I knew that within a few days that this was not normal. It was inflamed, red, and painful. A week after the surgery, I called the office and told the secretary that the incision was infected. She argued with me. (Yes, the secretary.) There wasn’t any one to write a prescription for antibiotics because it was the day before a long weekend and all the physicians had left. Please call back Monday. Perhaps my second mistake was not telling the secretary that I was not going to wait three days. By Monday, I was absolutely positive that it was infected. The doctor called in a prescription. I took it for two days, but began to feel “not right”. Just achy and run down. My insertion site was on my leg and I noticed that it was tender…and red…and warm. I pulled the site and moved it to my belly. I figured the antibiotics that I was taking for my hand would just hit the infection that I had developed in my leg. Perhaps my third mistake was thinking that I had years of medical school training. I called my endo’s office in the afternoon after watching the redness and the heat spread wider and wider across my leg. They, um…. freaked. I was told to come in immediately so they could examine it. 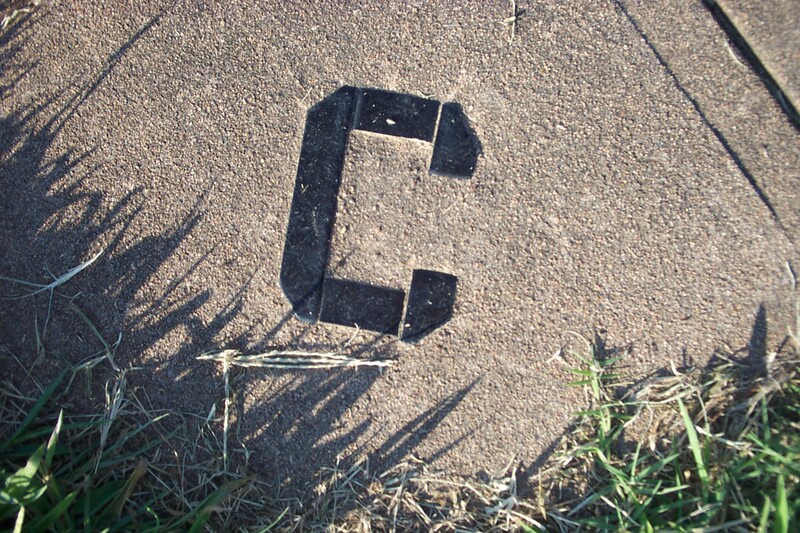 And once I was there, the first C arrived. He obviously didn’t get the memo. I spent almost 7 hours in the waiting area, which was overflowing onto metal chairs set up in the hallway. The Kid hung out with me until John could get there (I think he broke a land speed record. ), but I didn’t want her to be around the hacking and the contagious. They didn’t admit me, but kept me in an “observation unit” with a bed and hooked me up to a powerful antibiotic, Vancomycin, that was supposed to stop the infection from spreading. Fourteen hours later and bags of fluids and more Vancomycin, they sent me home with another antibiotic, Clindamycin, to take on top of the antibiotics that I was already taking. Sometimes, the cure helps to bring something else. The combination of antibiotics I was given, plus the stay in the observation unit at the hospital, made me a breeding ground for a c. Difficile infection. Clostridium difficile is just plain nasty. We thought I had “caught a bug” from the hospital and yep, I did. I’ll spare you the gruesome details, but suffice it to say that I couldn’t leave the house or be more than 10 steps from the bathroom. I felt horrible. I was horrible. My blood sugars were kept within normal range with only minor adjustments in my basal rate, after talking with an endo on call. Then again, I wasn’t eating much because of the nausea accompanying the intestinal discomfort. It was actually easier to keep my diabetes on track when I was sick. Go figure. After days of feeling crappy (and this is a pun, if you understand what the c. Difficile infection does to your body), I went to my primary care’s office. My fourth mistake (but at this point, who is keeping score anymore) was not questioning the lab tech who called me about one of the tests. “I’m missing a sample,” she said. “I’ll talk to the physician’s office, ” was my reply, and did exactly that. No one knew a thing was missing, so I dismissed it. Fifth mistake. The PA (my physician was on vacation, story of my life) said it was probably a gastrointestinal (highlight the intestinal part) virus and if I wasn’t better in a week, to let her know. A week went by. I am not better. I am worse. John is taking off work because I am too weak to take care of my daughter and we are worried about me. I called the office and requested to see a gastro specialist. We have a history of colon cancer in my family, so I knew what the deal would be and joked that it would be ease to prepare for the colonoscopy because there wasn’t anything left in my colon. I had one, found that fortunately there was no permanent damage (and no sign of colon cancer), and within a week of the antibiotic regimen, I was feeling better. So, the morals of this story? Don’t let anything go on too long if you don’t think it’s right. Trust your gut (when it’s working). Don’t think you’re a doctor unless you are. Don’t ever delay getting help for an infection if you have diabetes. And never, ever take your health for granted. We lost a summer of fun and playing with our growing girl because I didn’t think. The tale of the three Cs. Thus ends the lesson.